Our ground staff will receive you from the airport and will check in the Hotel. Visit National Museum which is a house of impressive collection of fine arts, paintings, bronzes, textiles, jeweler and handicrafts sections as well as galleries of stamps for which the Country is very popular. Visit Rinpung Dzong, the Fortress of the Heap of Jewels, built in 1645 by Shabdrung Ngawang Namgyel. 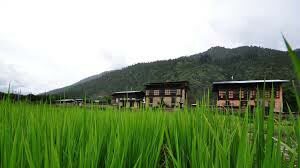 It is an imposing square fortress, representative of typical Dzong architecture, with a central tower and courtyards housing the district administrative and has a community of about 200 monks. Bit of hike down the moderate slope to the cantilever bridge, one of the finest specimens in Bhutan with its shingle roof and two guard-houses at each end. Overnight in the hotel. 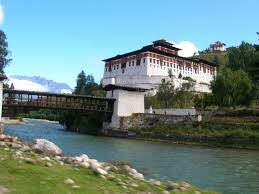 After breakfast, we will drive to Drugyel Dzong which is located upstream to the end of the paved road. This Dzong was also built by Shabdrung Ngawang Namgyel in 1647 to commemorate his victory over the Tibetans in 1644. In fine weather the Mount Jumolhari, 7314 meters or 24000 feet high appears as a back drop. This mountain which marks the frontier with Tibet, is sacred, as are all the mountains in Bhutan and it is the dwelling place for Goddess Jhomo. This mountain was never climbed till the submit and it is now a protected peak. In 1951 the Dzong was caught in a terrible fire started by a butter lamp which fell over the altar and Drugyel Dzong became no more than a dramatic silhouette falling into ruins. 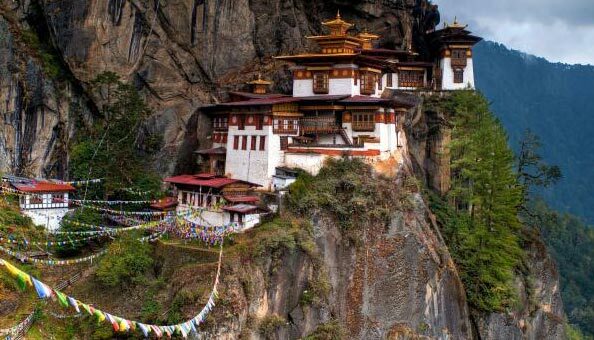 Drive to Rumthangka and begin the Taktsang hike. 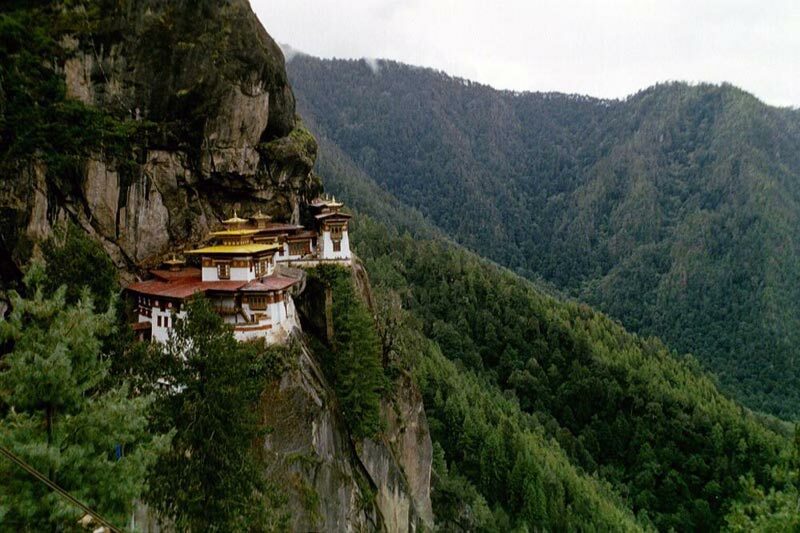 Taktsang Monastery, clinging on the steep rock, is one of the holiest temples in Bhutan. It is believed that Guru Rinpoche flew on the Tigress back and meditated here. The trek to the temple through the pine tree and sweet aroma of the air is indeed a very special and memorable event. On Our way back, we will visit Kyichu Temple (built by the Tibetan King Songtsen Gompo in the 7th century). Rest of the time free for souvenir shopping in the small town of Paro. Overnight at the hotel. After breakfast will proceed to the capital city of Bhutan. On the way we will also have sightseeing of Tradition Iron Bridge built by Druptho Thangtong Gyelpo for the well being of people and the country. After lunch visit Memorial Chorten the stupa built in the memory of Bhutan’s third king, His Late Majesty, King Jigme Dorji Wangchuk, who is popularly regarded as Father of modern Bhutan. We will also visit the biggest Buddha statue built for the well being of the all the living beings. In the evening, visit Farmers’ Centennial Market and shopping and overnight in the Hotel. 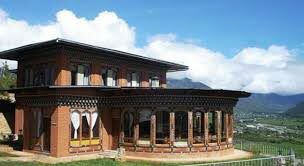 After breakfast, visit Folk Heritage Museum: Established in year 2001, it provides deep insight to classical Bhutanese rural lifestyle by displaying original artifacts. 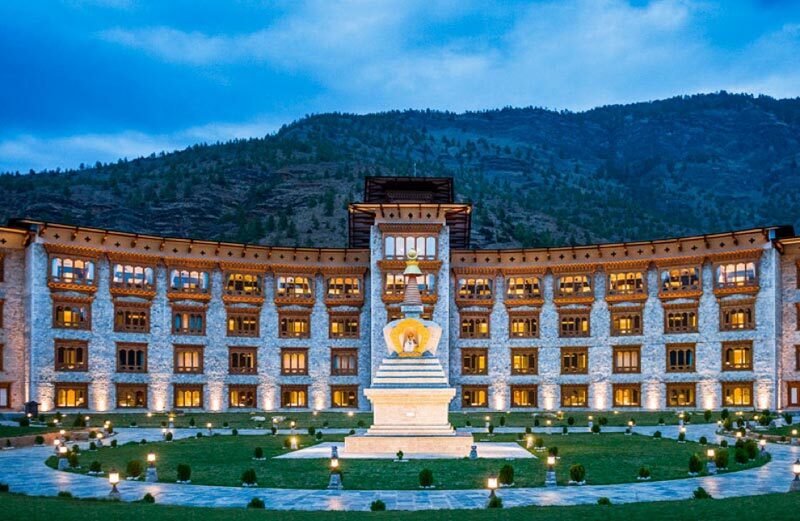 National Library: The history of Bhutan lies imprinted in archaic texts, which are preserved at the National Library. Besides thousands of manuscripts and ancient texts, the library also has modern academic books and printing blocks for prayer flags. Arts & Crafts School: This school teaches the techniques of traditional thangkha paintings. On a visit, one can see students at work producing intricate design on cloth. Sightseeing at Dochula Pass with 108 Stupas built. 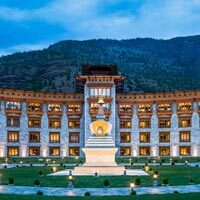 One can also see the highest Himalayan mountain peaks and overnight at the hotel in Thimphu. 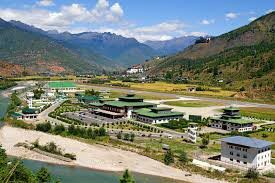 Drop to Paro airport for final destination.